You have discovered the website of speculative fiction writer Alaya Dawn Johnson. Pull down the tab and you can find a (mostly) complete bibliography and a brief bio. And if you’d like to have me speak at your school or library, you can find that information there, too! 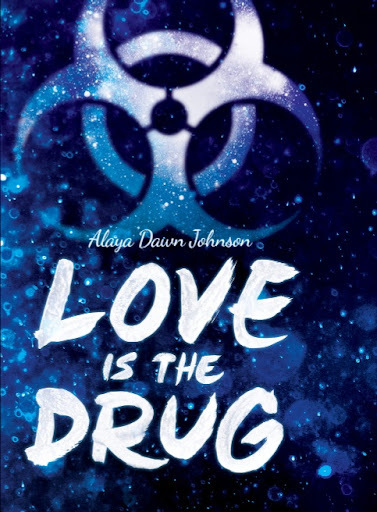 Love Is the Drug is another stand-alone YA novel. This time it’s set in contemporary Washington, DC in the middle of a global flu pandemic. My YA debut! 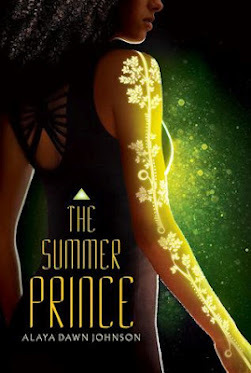 The Summer Prince is a book I’m so excited to have out in the world. It came out from Scholastic in March 2013. To learn more about it, you can visit its entry on Goodreads or read an excerpt from the book at NPR. It was selected for the longlist of the National Book Award, Young People’s Literature category. Moonshine is an urban fantasy novel set in an alternate 1920s New York City, where vampires and djinni rub shoulders with humans in the Lower East Side. 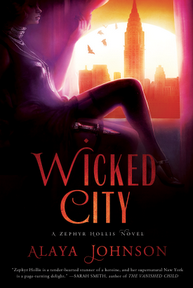 Read the first chapter and see some blurbs and reviews. 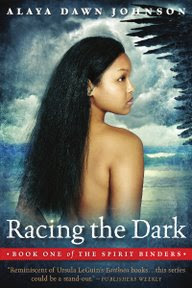 The first of the Spirit Binders trilogy follows Lana, a young island diver whose life is changed by powerful elemental spirits, bound centuries ago, and now struggling to break free. You can read the first three chapters (a significant chunk of the manuscript). 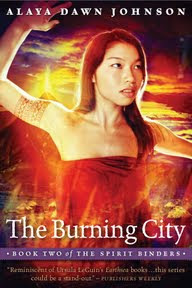 The second book of the Spirit Binders, The Burning City, continues Lana’s story in the aftermath of the great eruption. I’ve also written two choose-your-own-adventure style middle grade novels, for Graphic Universe’s Twisted Journeys line: The Goblin King and Detective Frankenstein. They’re fun and eminently suitable for children ages 9-11. So look around, and please email me if you want to know anything else: alaya [a t] alayadawnjohnson [d o t] com. Moonshine by Alaya Johnson — book trailer from Alaya Johnson on Vimeo.